This past Monday was my turn to host another play group for some 3 year olds in the neighborhood. Since Dr. Seuss's birthday is coming up, I decided to try and build a theme around that. I had set up a road mat and cars for them to play with as they arrived, but not one child wanted anything to do with it. And no one was about to sit down to read a story. While the group was running a few laps around the house screaming, I decided to start off with a game I had planned for a little later on. I got their attention by asking one of them if they thought they could balance one of these items on their head like the Cat in the Hat does in the story The Cat in the Hat. Then we tried another game - musical hats. 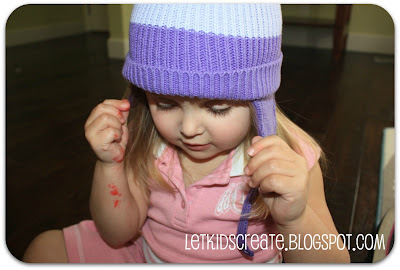 I had the kids sit in a circle and take turns putting on this hat and passing it along until the music stopped. The child who had the hat on their head when the music stopped got to have a turn being the one to control the music for a round. I think pushing the pause button on the music may have even been more fun than passing the hat around. After they had all had a turn to be in control of the music, they just wanted to try on a bunch of different hats. By now they had settled down enough to do a craft. I had cut out some egg cartons and gathered some glue, pipe cleaners, pom poms, googly eyes and bingo dot markers . 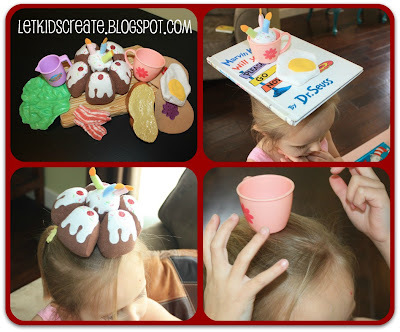 The idea was for them to make a "Seuss creation" of their own. Once again, the glue was highly popular. I let their own imaginations go to work for these- I didn't give them any expectation or guidance on what to create. I wanted to see what they would come up with on their own. I kept snack time simple- we just had mandarin oranges and crackers. I also popped some popcorn they could munch on while we sat down to read through a couple of the books. Even though our play group started out a little on the wild side this time, I think it turned out to be a success in the end. What kind of Dr. Seuss fun are you having? I bet this was blast!! I love the idea of having the kids balance things on their heads! To celebrate Dr. Seuss's birthday we read Scrambled Eggs Super and had a egg hunt! 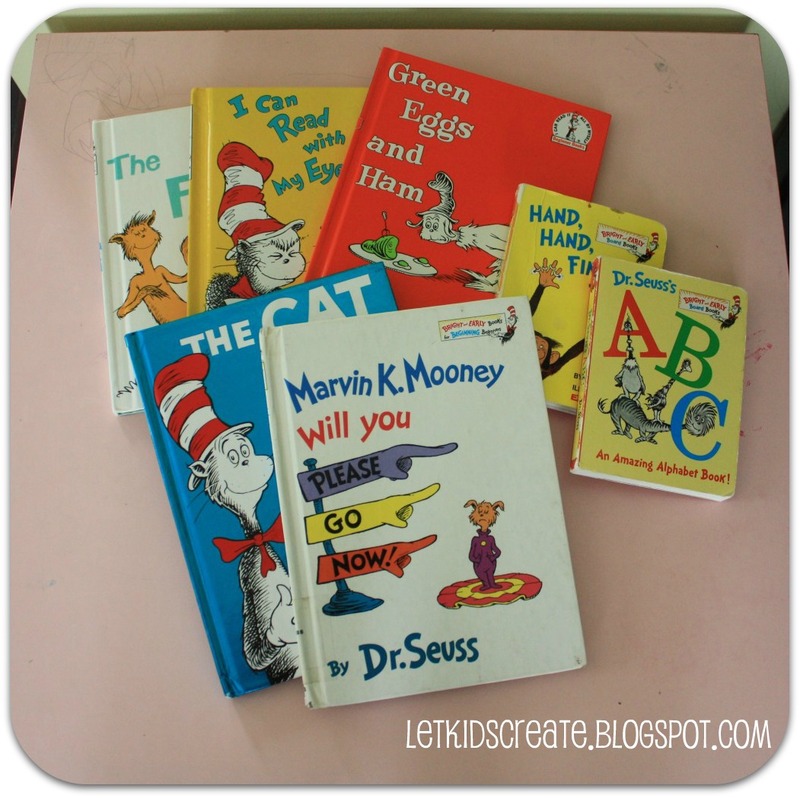 I would like to invite you to share a link to this post on my blog, Happy Birthday Author, to help us celebrate Dr. Seuss's birthday!